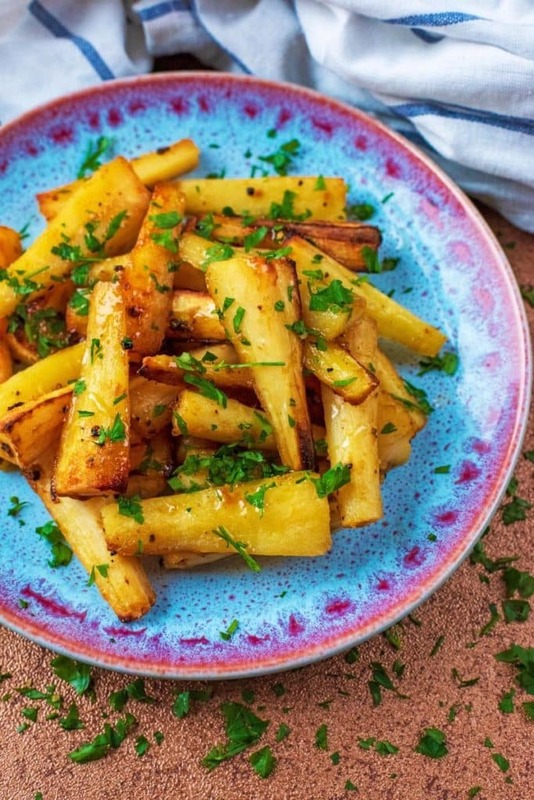 We love roasted parsnips in our house but don’t cook them as often as we should. These ones sound so delicious, might have to give them a try in the week. This recipe sounds incredible! I love the idea of using honey mustard on veggies – what a great idea!! Mustard and honey is such a great flavor combination. I can bet this is delicious. Love veggies roasted in honey and mustard. These sound incredible. I just recently started using parsnips and realized how delicious they are! I adore roasted parsnips. Unfortunately I can’t always find parsnips here in Italy! But, when I do, I buy tons! Love thee honey mustard idea. Have to try that next time I have parsnips! 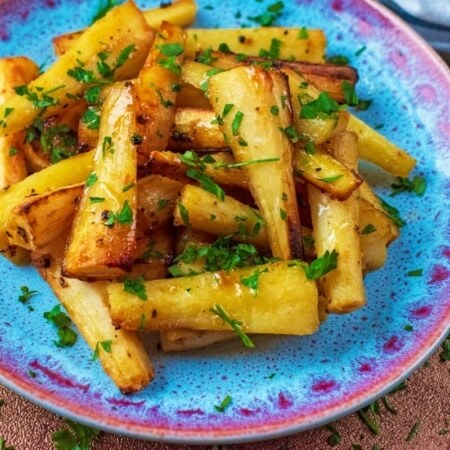 These roasted parsnips sound and look so delicious! The mustard and honey glaze is perfect! What a fun side dish. I think parsnips are so underused in the kitchen. We only ever roast veggies…other than grilling. These sound delicious, and the combination of honey and mustard would pair perfectly with the natural sweetness. A great side dish for sure. This looks and tastes so delicious, thank you for a great recipe! Roast vegetables are always so good, so much flavour. 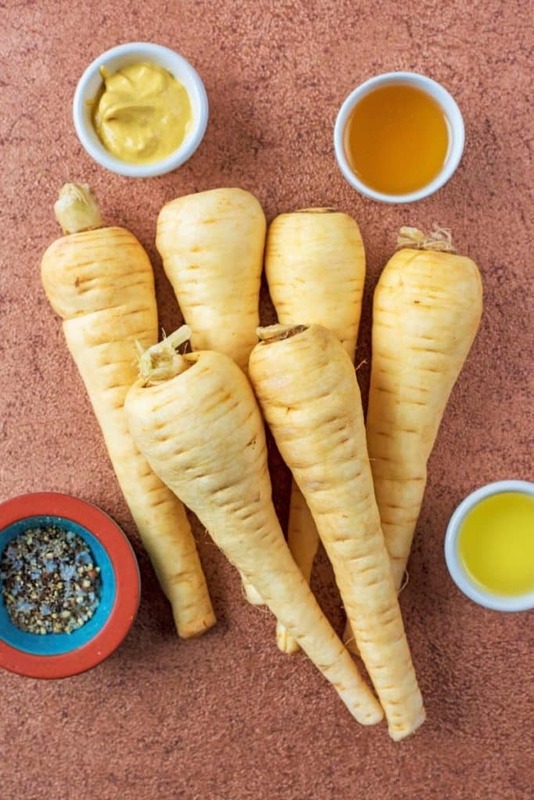 Parsnips are ideal for roasting, and I’m loving the addition of the honey and mustard. A great side dish to many a meal. 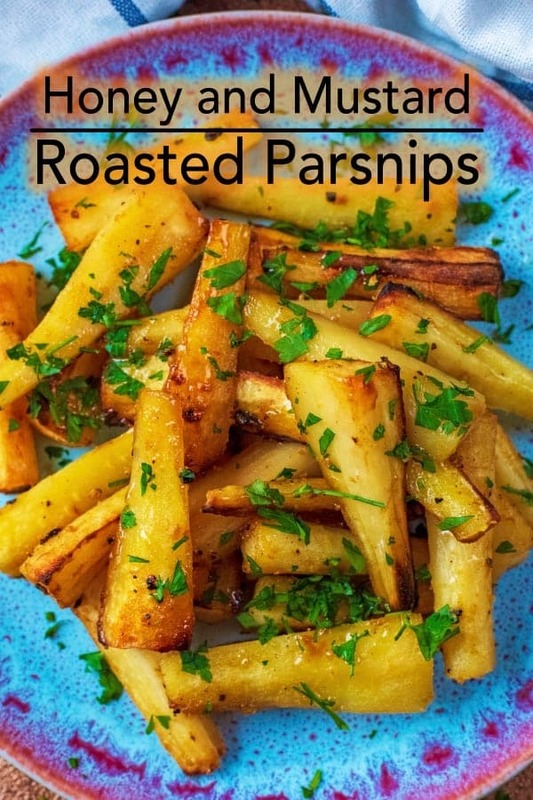 I love roasting parsnips but I have never tried them with mustard and honey. I can’t wait to try your recipe and change up the flavors! 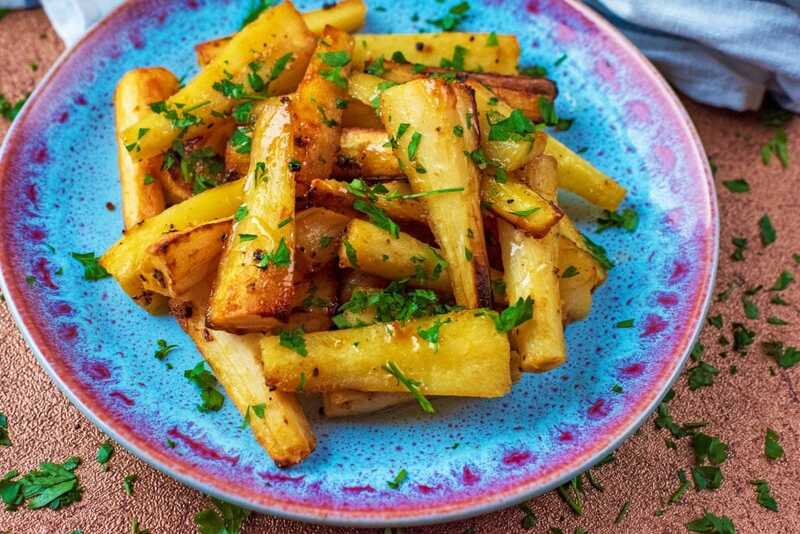 I’ve never been a huge fan of parsnips but cooked like this i bet they taste amazing! 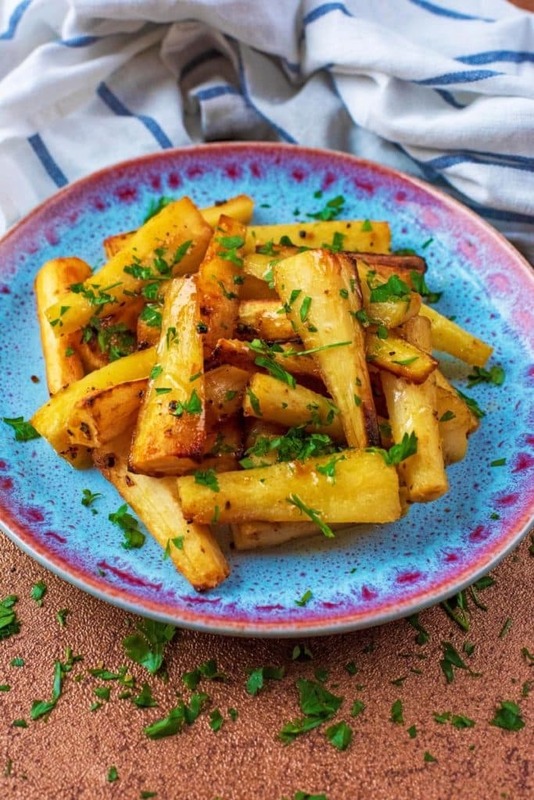 I recently discovered parsnips and just love them! This is a great idea to roast them with honey. I’ll have to try it! These will go perfectly with my roast dinner this weekend! So much more interesting than simply roasting with salt & pepper! 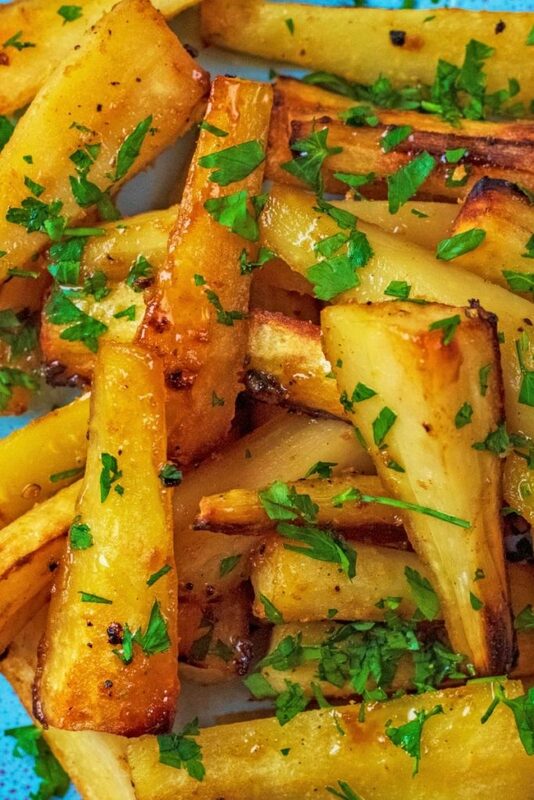 Parsnips are one of those vegetables that I sometimes forget about but this delicious looking recipe makes me want to remedy that. Can’t wait to try out this recipe soon. The beautiful, browned edges on these parsnips are giving me goosebumps. I can’t wait to try this! Wow I’ve never cooked with parsnips but totally want to now! I love roasting parsnips, definitely the best way to have them. Never tried with honey and mustard but can see it working well. I love that sweet and tangy flavor combination! So good!